This wedding cake commission was exciting for two reasons: it was my first naked cake and I got to have a peek around Bush Hall in Shepherd’s Bush for the first time. 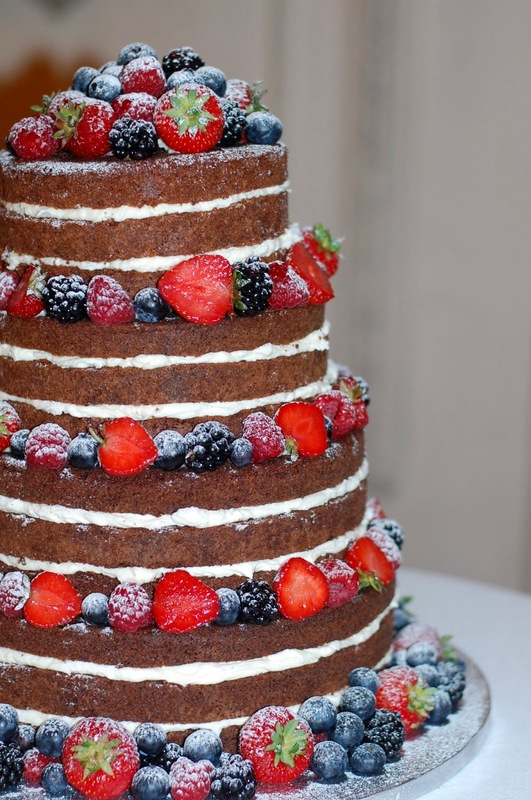 Naked cakes are very popular this summer. With no form of icing to cover the outside of the cake they have a very simple, rustic appeal, and yet they can be quite spectacular, comprising several tiers and usually decorated with fresh flowers or fruit. Whilst it is quite liberating not to have to worry about achieving a super smooth sugarpaste covering, the naked cake does have nowhere to hide, meaning that the sponge itself has to look pretty perfect, with lovely even layers and neat, evenly spread filling. Naked cakes will dry out a lot quicker than a covered cake, and so have to be cut and filled on the day, and then assembled on site. I got to assemble mine in the main hall at Bush Hall, whilst the band were carrying out their sound check for the reception. According to Wikipedia, Bush Hall was built in 1904, as a dance hall, but has seen many incarnations, including war time soup kitchen, bingo hall and a snooker club. 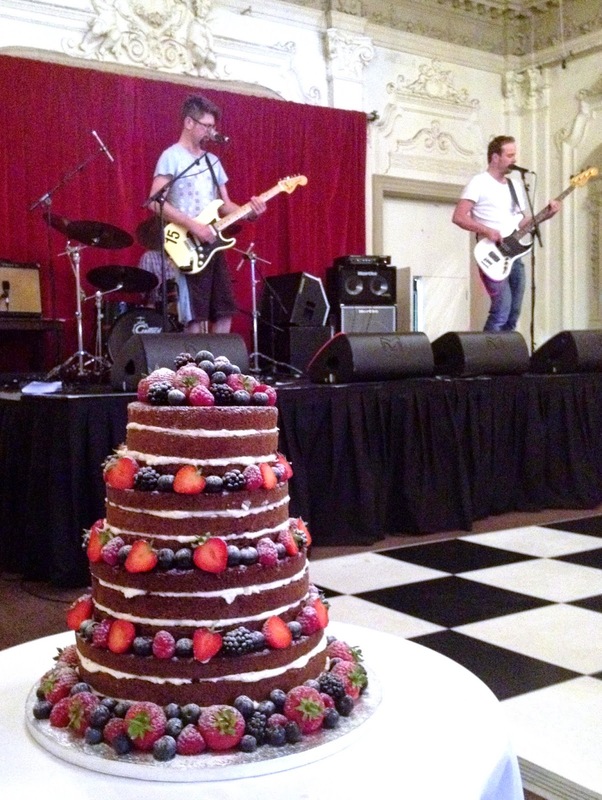 Now a popular live music venue, Bush Hall retains a vintage charm and atmosphere that makes it a fantastic wedding venue too.